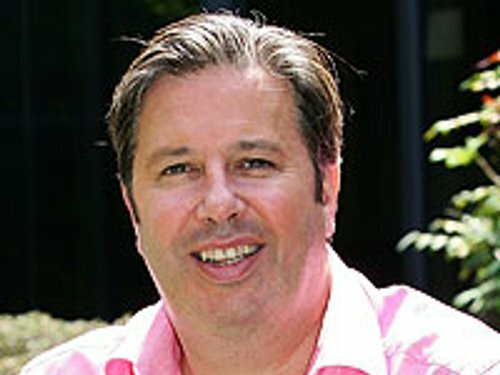 RTÉ broadcaster Gerry Ryan has died at the age of 53. Gardaí say Mr Ryan was found dead at his apartment on Upper Lesson Street in Dublin at around 1pm this afternoon. They are investigating the circumstances of his death. Mr Ryan joined RTÉ in 1979 and presented the radio programme 'The Gerry Ryan Show' and television programmes such as 'Operation Transformation' and 'Ryan Confidential'. He is survived by his five children and his wife, Morah, from whom he was separated. Mr Ryan began his career as a broadcaster in pirate radio. When 2FM was launched in 1979, Mr Ryan joined the station as a DJ and he soon became part of their main night-time line-up. The Gerry Ryan Show began in 1988. Over the next 22 years his weekday talk programme became one of the most listened to radio shows in Ireland. President Mary McAleese has led the tributes to Gerry Ryan. She said: 'Gerry was an extraordinarily talented broadcaster whose unique communication skills and larger than life persona entertained and enlivened a national audience over many years. Taoiseach Brian Cowen has also expressed sadness at Mr Ryan's death, saying he would be greatly missed. He said Gerry Ryan was a tremendous broadcaster, both on radio and television, enormously popular and extremely able and talented. Describing Gerry Ryan as forthright, articulate and intelligent, he said that he had brought a new style to broadcasting. Mr Cowen said that his lasting legacy would be the ability to be irreverent and witty while at the same time dealing with subjects seriously. RTÉ Radio Managing Director Claire Duignan said Mr Ryan was at the heart of RTÉ for over 20 years and he was a highly entertaining and larger-than-life broadcaster. RTÉ's Dave Fanning says he is shocked at the death of his friend. He described Mr Ryan as the 'funniest man' he had ever met in his life and a wonderful family man. Of Gerry Ryan's morning show on 2FM, Mr Fanning said: 'Within two months of going on air in the day time, he was the biggest thing in Irish broadcasting. Dublin Lord Mayor Emer Costello has also paid tribute. The Independent Broadcasters of Ireland, the representative body for Ireland's independent commercial radio broadcasters, has also offered its condolences to the family of Gerry Ryan on the untimely death. After requests from members of the public, RTÉ will open RTÉ Radio Reception tomorrow from 12 noon to 6 pm. Members of the public may sign a book of condolence.